« How do Anions Fight Indoor Organic Contaminants? 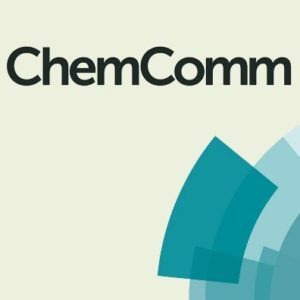 ChemComm Emerging Investigator Lectureship – nominations now open! We are pleased to welcome nominations for the 2019 Emerging Investigator Lectureship for ChemComm. All nominations must be received by Friday 25th January 2019. • Recognises emerging scientists in the early stages of their independent academic career. • Eligible nominees should have completed their PhD on or after the 15th September 2010. Self-nomination is not permitted. Nominators must send the following to the editorial team via chemcomm-rsc@rsc.org by Friday 25th January 2019. • The recipient of the lectureship will then be selected and endorsed by a selection panel composed of members of the ChemComm Editorial Board. The winner will be announced in the first half of 2019. NB: Please note that members of the selection panel from the ChemComm Editorial Board are not eligible to nominate, or provide references, for this lectureship. For any queries, please contact the editorial team at chemcomm-rsc@rsc.org.